Social Work as a profession was founded in the late 1900s and in the ensuing 120 years social workers have been at the forefront of movements for civil rights, worker’s rights, access to medical care for the poor, destigmatization of mental illness and substance abuse, improved treatment of incarcerated individuals, and many forms of work with children and families to keep them safe and healthy. Harry Hopkins, the architect of the Works Progress Administration, was a social worker. One of Hopkins’ legacies to the nation is the Social Security program, which provides income benefits to retired workers. Frances Perkins, the first woman appointed to a president’s cabinet, and Jeanette Rankin, the first woman elected to the U.S. Congress, were also social workers. Despite this legacy, though, the popular perception of social work is as a profession that lacks intellectual and scientific rigor. But social work has made many important contributions to other fields. Research and knowledge generation go back to the two founding mothers of social work in the United States: Jane Addams and Mary Richmond. In the Progressive Era, the settlement house movement emerged consisting of community-based collective residences dedicated to improving the health and wellbeing in poor communities. The most famous of the Settlement Houses that were founded in Eastern and Midwestern communities was Hull House in Chicago, founded by Jane Addams. The women of Hull House conducted detailed social surveys of the neighborhoods that Hull House served. Addams used data from the surveys to inform the collective activism of Hull House and community members to improve neighborhood living conditions through garbage removal, working sewers, access to health care, and care for the children of mothers who were factory workers. Hull House itself provided kindergartens for young children and children’s health care along with their other activities. Addams was also a key figure in the philosophical development of American Pragmatism alongside John Dewey, one of the undisputed intellectual leaders of the Progressive Era. Even at the time, Hull House was seen as an experiment in pragmatism. Addams went on to become the first social worker to win a Nobel Prize. Even earlier, Charity Organization Societies were founded in a number of cities to coordinate and improve on benefits received by individuals and families. These services consisted of home visits undertaken first by volunteers called “friendly visitors” and later by trained social workers called caseworkers. Mary Richmond, a leader in this effort, conducted research to guide volunteers and caseworkers in their practice. In her book, Social Diagnosis, she described the social situations of poor people needing aid, classifying cases into types according to the specific circumstances of their poverty. Some families were abandoned by wage-earning husbands. The help provided to them consisted of immediate cash benefits followed by training for the wives in occupations providing new income. In the case of an invalid, a volunteer would arrange access to health and convalescent care perhaps along with cash support until health had been restored. Although it seems unthinkable today, these and other early developments in social services, public and private, were not inclusive of African Americans in need, leading their communities to develop charitable organizations of their own. 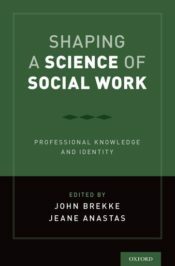 Beyond the intellectual contribution of individual social workers, though, the field of social work has been the academic source of concepts widely used in medicine, psychiatry, and nursing today. The biopsychosocial perspective, which looks at the role that psychological and environmental factors play on individual health is an important development in the healthcare field. In medical circles, the term is attributed to the psychiatrist George Libman Engel, who first used the term in 1971, but a quick search of the literature identified two social work articles published in 1952 and 1963 using the term “biopsychosocial.” The first addressed curriculum in social work education, and the second was about defining the aims and domains of social work, a problem we still struggle with today. In both articles, the writers took the term “biopsychosocial” as needing no explanation, implying common knowledge of it in the social work field. For example, today we know that simply providing medication to people who test positive for HIV requires special efforts to address the structural, social, cultural, and psychological issues that may interfere with the regular and continuous use of viral suppressant medications to promote both personal and public health. A more recent example of unacknowledged social work contributions to knowledge is found in the work of Diana Pearce, a social worker and researcher on women’s welfare, poverty, and economic inequality at the University of Washington. In describing the fate of “welfare mothers” in her 1970 dissertation, she coined the term “the feminization of poverty” to describe how social welfare systems create poverty among women. This term and this concept are now well established in the field of social development worldwide. Poverty is still concentrated in households headed by women, and Pearce continues her efforts to address this disparity by advocating for increases in the minimum wage and changes in the measurement of household income needs by basing aid on household sufficiency and not the flawed poverty line. More recently, we have learned that the origins of the evidence-based and widely used model of psychiatric aftercare called Assertive Community Treatment (commonly known in medicine as ACT) was derived from the practice of a social worker named Mary Ann Tate. Many in the psychiatric hospital she worked in were concerned with the high rehospitalization rate of patients discharged into the community. Psychiatrists there tried to identify any practitioners who were more successful than others in helping patients remain in the community, and it was social worker Mary Ann Tate who had the best track record in this area. The model is thus based in the practices she had developed to avoid rehospitalizations. Because the lead authors in publications describing this practice model were psychiatrists, the social work contribution has only recently been identified. It seems that we know more about the “heart” of social work—the dedication to service—than we do about its “head”—the contributions the profession has made to other areas of research. Some have recently begun to study the contributions of those who have created and sustained systems of care in African American, Native American, and Spanish-speaking communities. No doubt these and other examples of social work’s intellectual contributions are still unrecognized. Featured image credit: “Eureka” by Fachy Marín. CCO via Unsplash. Jeane W. Anastas, PhD, LMSW, ACSW, Professor, Silver School of social Work, New York University. She is the coauthor of Shaping a Science of Social Work published by Oxford University Press. I think it’s high time that social workers practice what we preach by utilizing a strengths-based approach to our identity and highlight our successes. Especially so when social work innovation is adopted by other disciplines without giving credit. A quick note about the first sentence, I believe the author means to say that social work was founded in the late 1800s (or early 19th century).